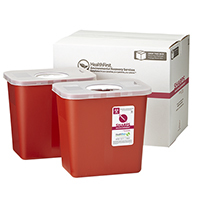 Rigid, puncture resistant, plastic containers hold needles and syringes as well as contaminated sharps. 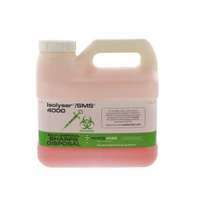 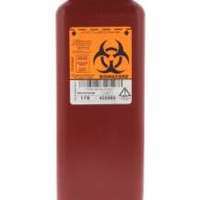 Graphic bright red international biohazard caution alerts personnel that container holds contaminated Sharps. 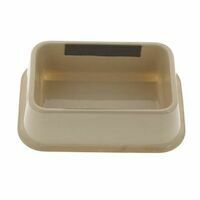 Self-sealing lock-tight cap and safety neck prevent contents from being extracted.